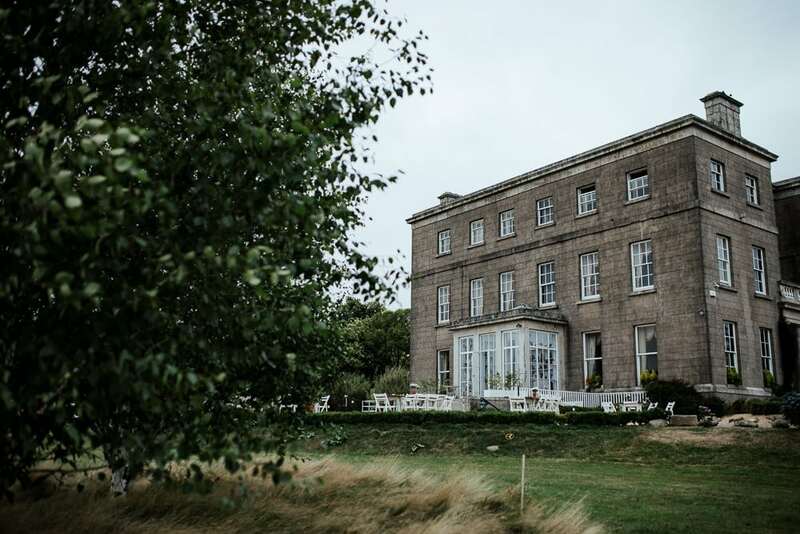 An exclusive country house wedding venue, Horetown House is like no other. 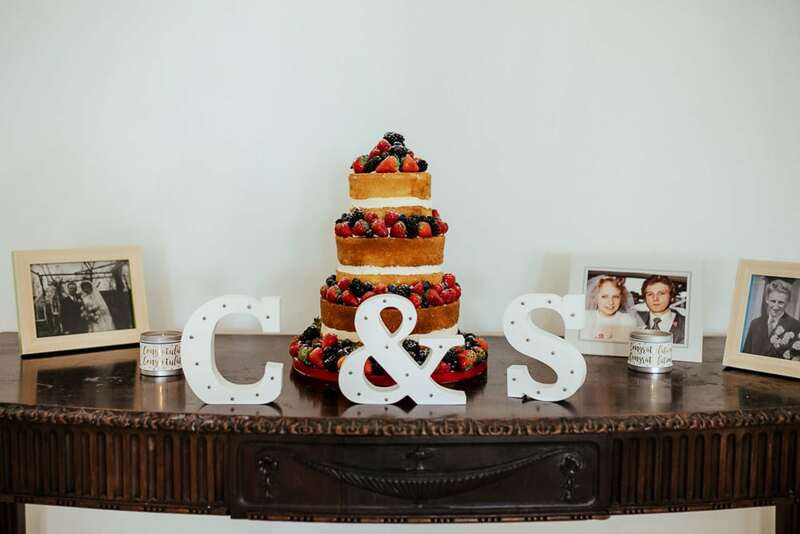 If you are looking for an amazing elegant experience with a vintage touch, read on! 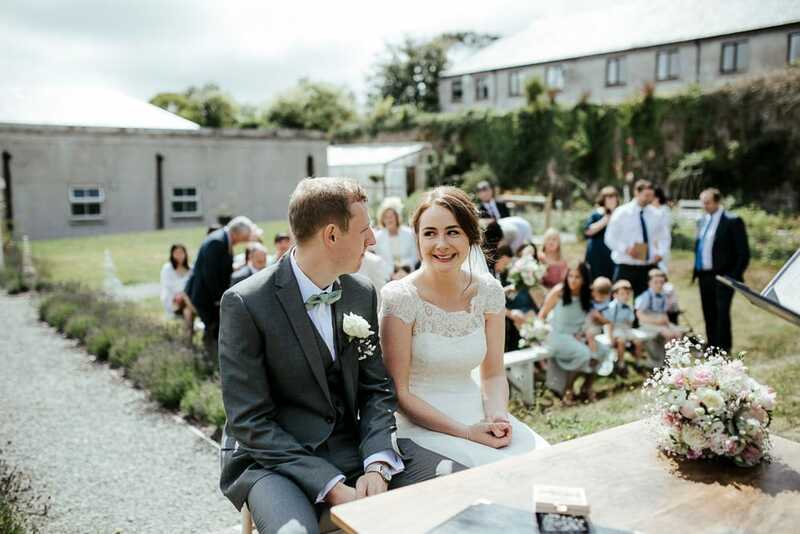 Weddings at Horetown House are warm, friendly, fun and most importantly super relaxed! 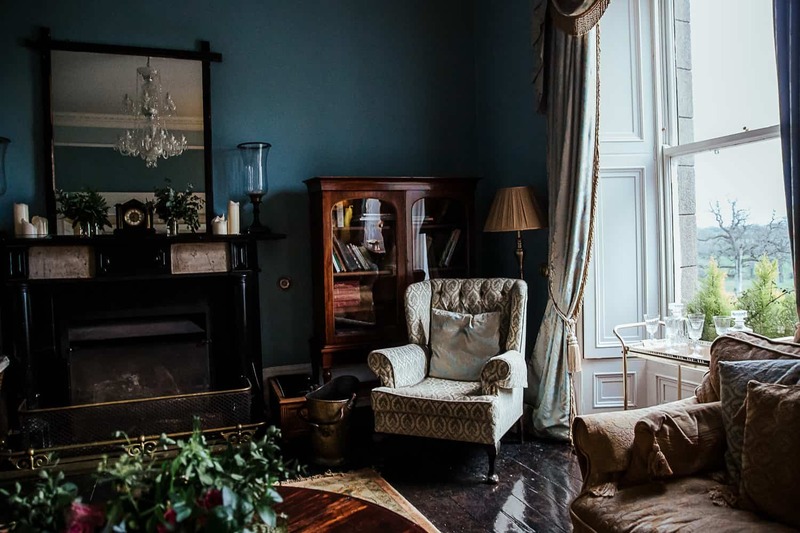 Located in Ireland’s romantic sunny South-East, Horetown House in Co. Wexford doesn’t feel too far (just 2 and a bit hours from Dublin straight down the M11). Yet when you get there, you are almost transported into another era. This beautiful stone mansion in the midst of rolling hills and lush birch trees will make you believe you jumped 100 years back in a time machine. The house itself has 2 facades. The main one is the column entrance and the glass conservatory overlooks the grounds. 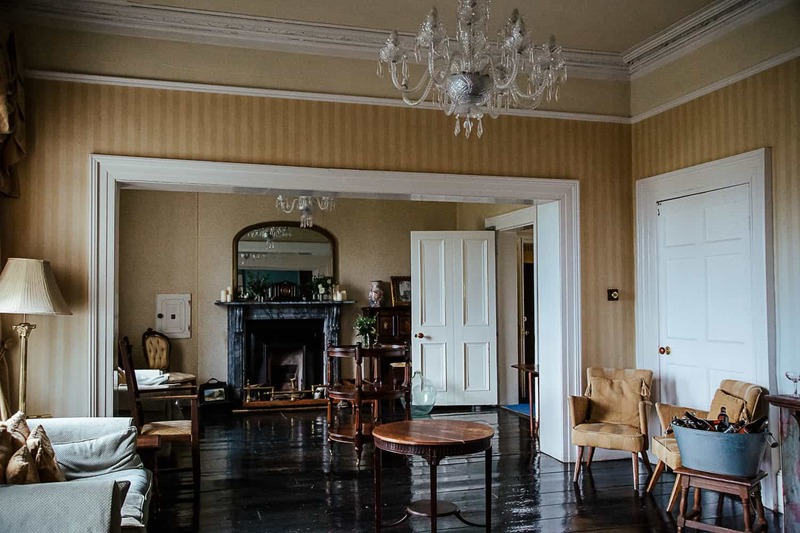 There’s a large drawing room for your drinks reception decorated with elegant period furniture. The dedicated ceremony room is a dream come true. 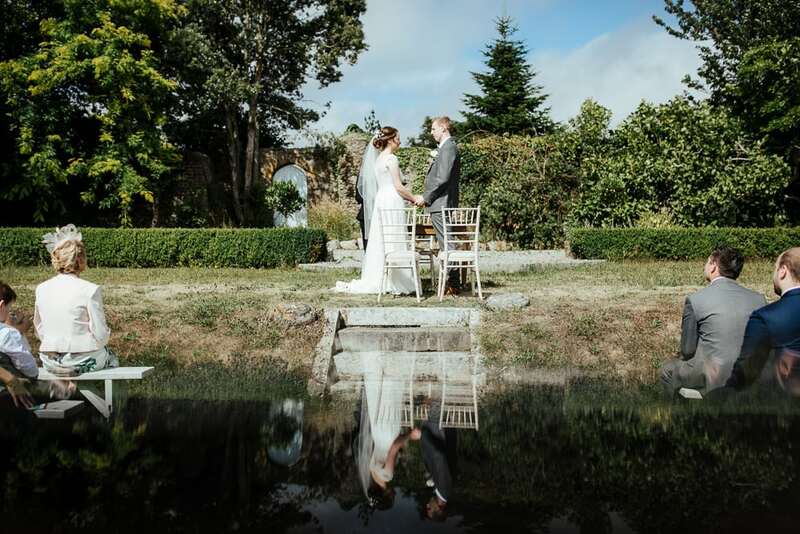 If the weather suits you can take your ceremony outdoors. Walk to the love of your life surrounded by lavender bushes. How cute is that? 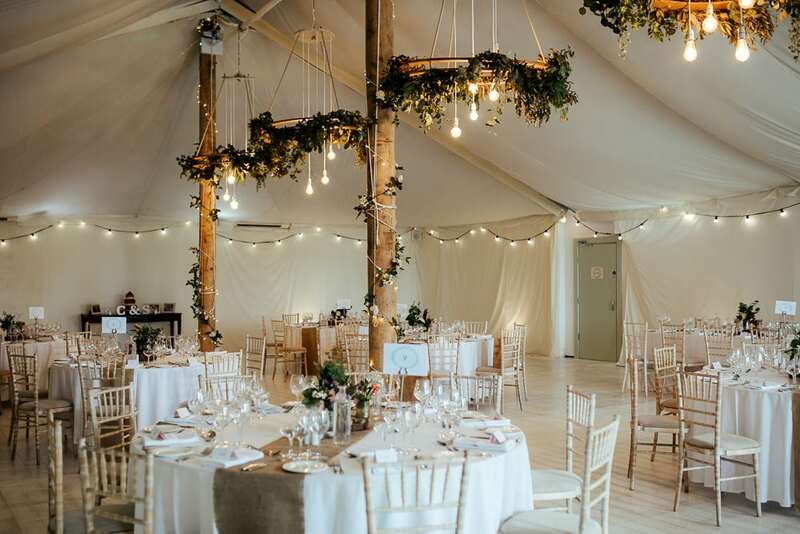 For dinner there’s a lavish Garden Room decorated with chandeliers and greenery and fairy lights. The best part is that it looks like a marquee but is actually a sturdy structure. It has wooden floors , built in heating and air conditioning! 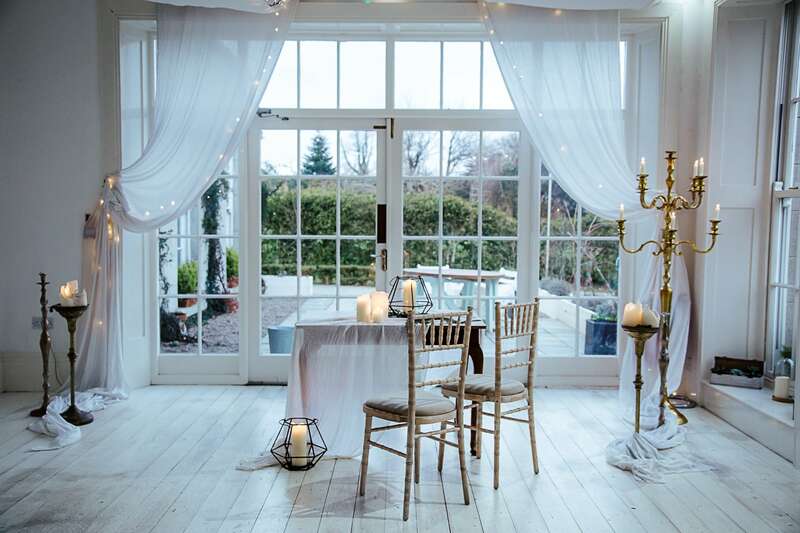 Horetown House provides exclusive use of their 10 bedrooms for your wedding. They are all uniquely decorated with character and old world charm. Each room is en suite with shower or bath, comfortable beds and gorgeous linens. 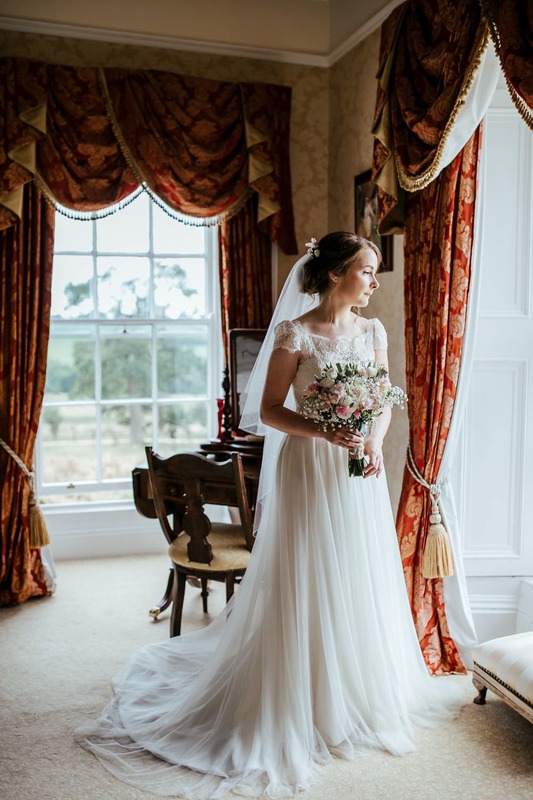 Even if you don’t get the chance to stay in Horetown House before your wedding day, you can use one of the rooms to change before the ceremony. It makes travelling much more comfortable, and the photos are stunning! 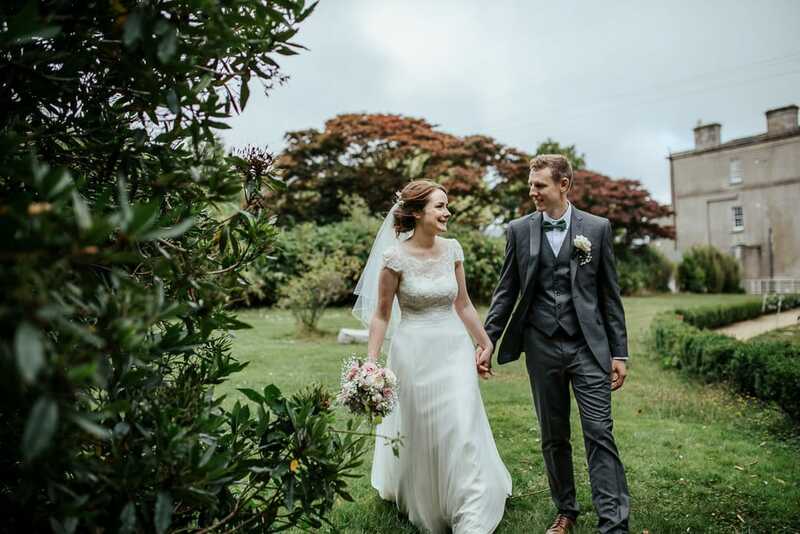 Weddings at Horetown House can be of all faiths, and you can pick between saying your I do’s outdoors or indoors. 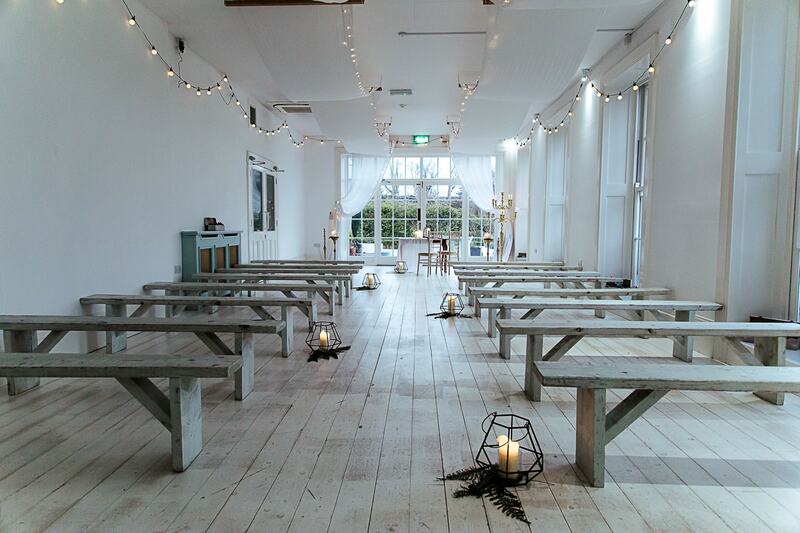 The White Room is (for me) a place of dreams, one of the most beautiful ceremony locations I have seen! It accommodates up to 150 guests. If you feel like you want to hear the birds singing and feel the gentle breeze on your face, you can pick the Ceremony Garden. Don’t worry about the weather! 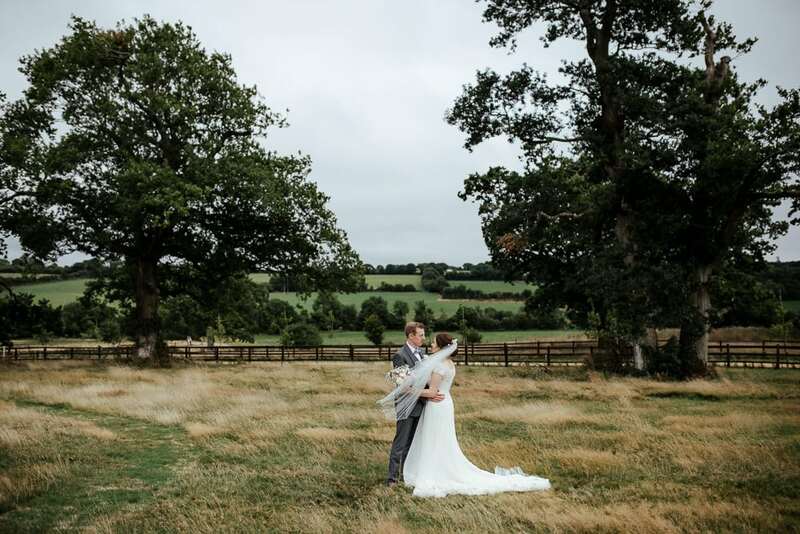 The staff are so accommodating they can move your ceremony at the latest notice! One of the most picturesque wedding venues I’ve been to, Horetown House has plenty of little photo spots. They are are both outdoors and indoors, in case the weather isn’t favourable on the day. The rolling hills and birch trees make for a beautiful green backdrop. 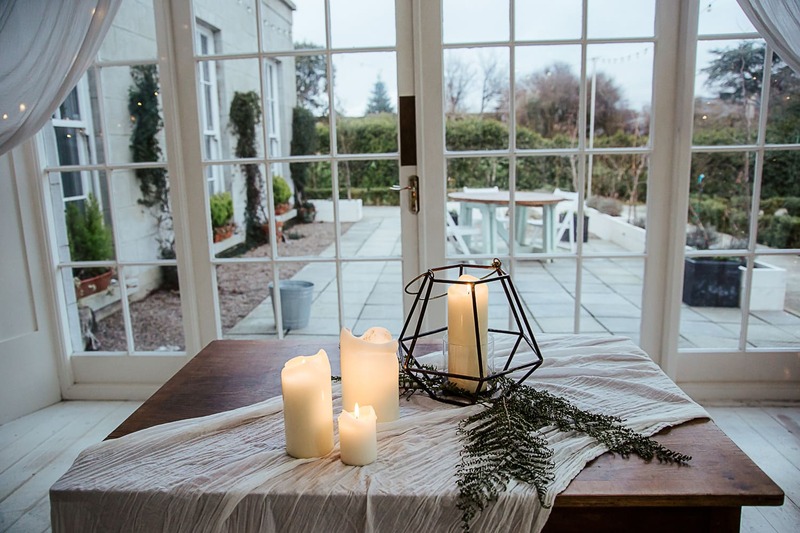 The fairy lights are super pretty for evening pictures, and the vintage drawing room with large windows is a stunning location. 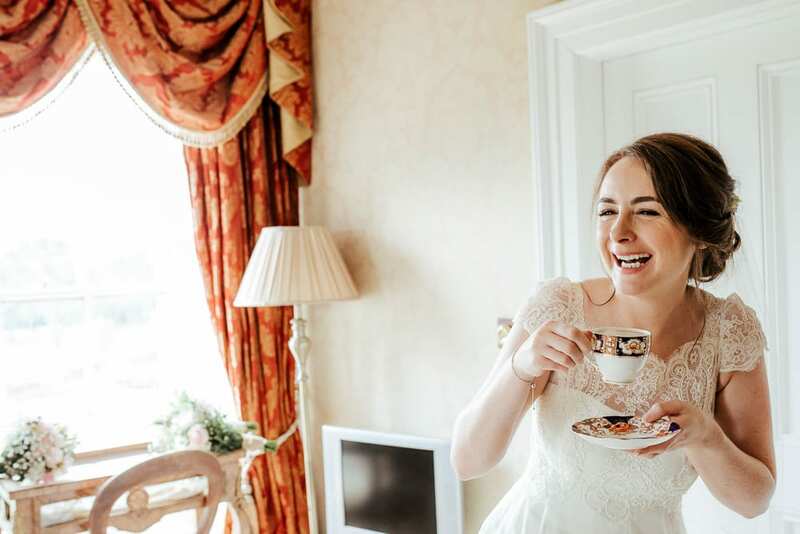 If you choose to host your wedding at Horetown House, you’ll actually knock off a few to-do items from your list straight away. Horetown House takes care of full styling and décor. This includes fresh flowers and candles throughout the house and various vintage pieces. 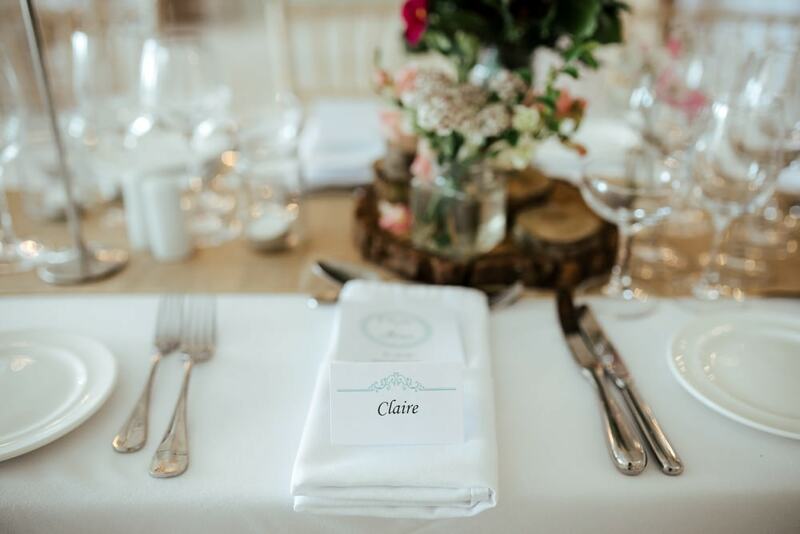 You can have a choice of table décor with individual styled menus, seating plan, candles, table runners and glassware. They even include the bathroom baskets for your guests! The Wedding Coordinator will be with you from check in until your meal is served. 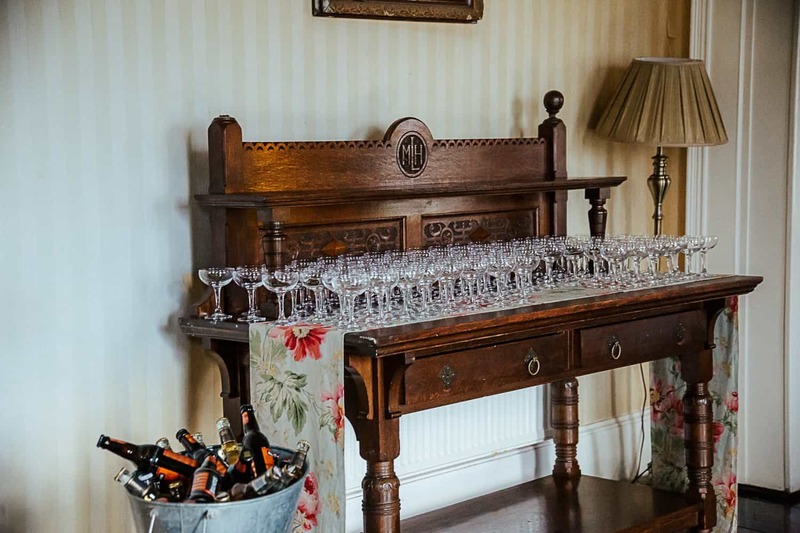 Two fully staffed bars means your guests will never want for a drink. The best part of wedding planning is, of course, food tasting! You’ll be blown away by the massive selection of canapés, starters, sharing plates and main courses. Most of the produced is sourced locally, and we know Wexford is famous for its food. I love the idea of red wine poached pear, Croszier Blue cheese and toasted walnut salad. The mains include 8 hour slow-cooked short rib of Wexford beef, crispy confit of Duck and Grand Marnier roast fillet of Hake. And for dessert there is apple and frangipane tart with apricot glaze, or vanilla panna cotta with Wexford strawberries. Mouth watering yet? 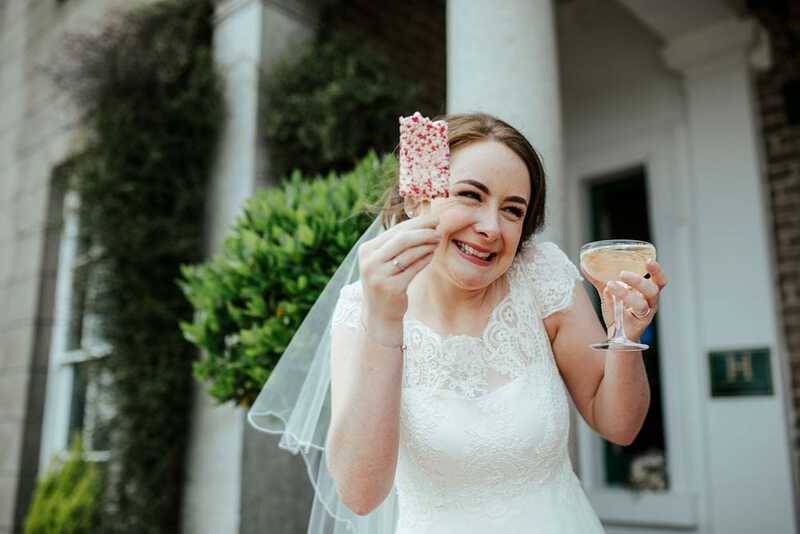 Besides prosecco, homemade lemonade and canapés, you can add all kinds of cool drinks to your pre-dinner reception. I loved this styled Gin Bar where guests can garnish and mix as they wish. For winter weddings try mulled wine or spiced cider. Another option is spiced Belgian hot chocolate served in your personalized biodegradable cups.